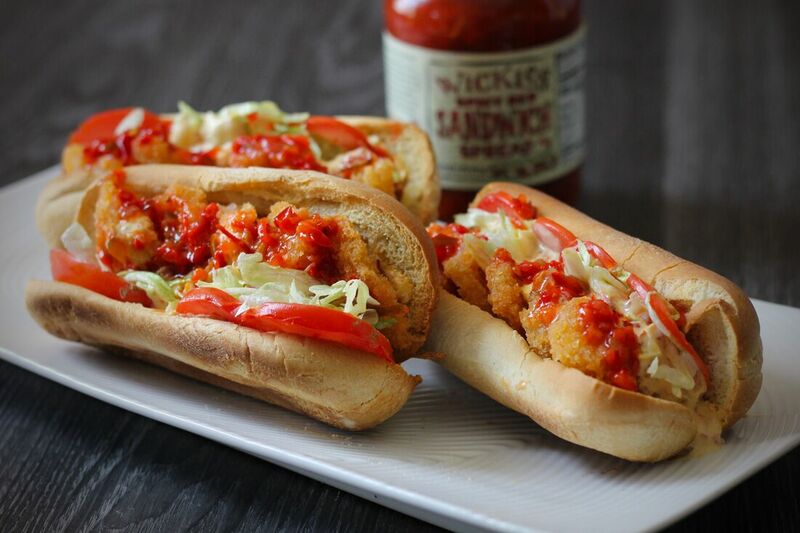 Take your favorite Shrimp Po’Boys to the next level with a spicy red punch. Heat oven to 350°. Remove the soft centers of the baguette, leaving a 1/2-inch shell. Put the bread, cut-side up, on a baking sheet and brush with the butter. In a small bowl, combine the mayonnaise, mustard, and Spicy Red Sandwich Spread®. Bake the pieces of baguette until crisp, about 5 minutes. 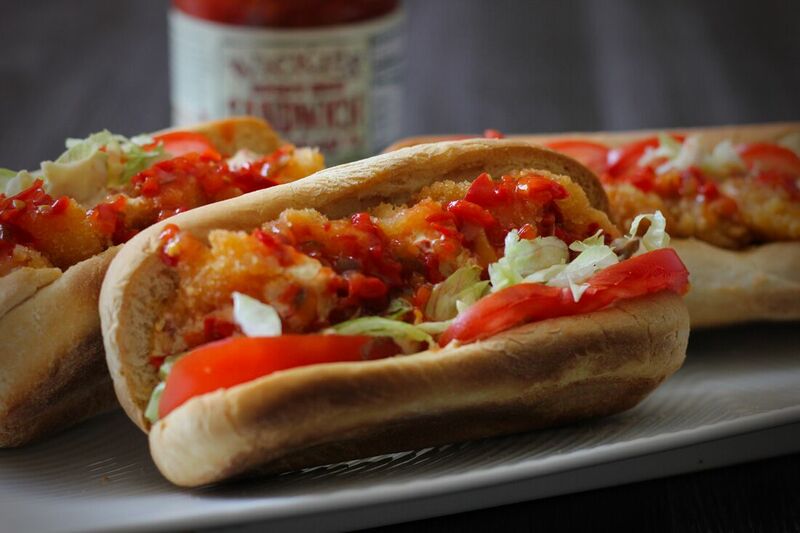 Spread the sauce on both sides of the bread. 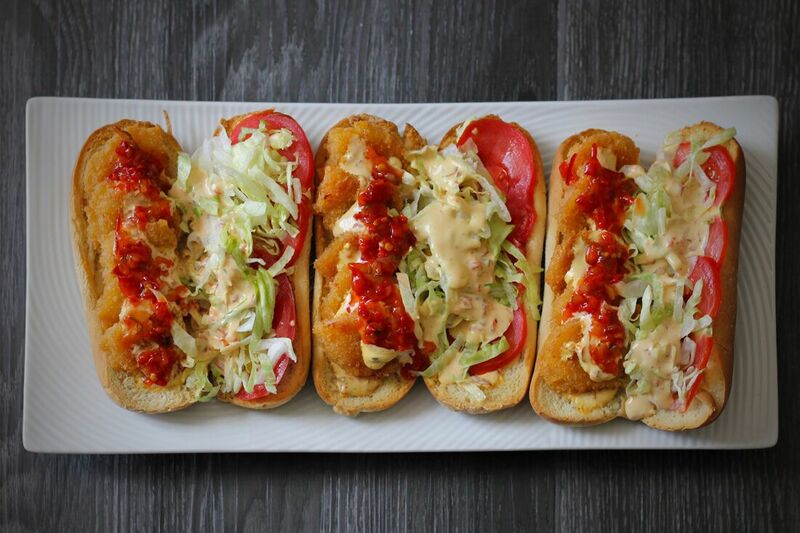 Sandwich the lettuce, tomato, and fried shrimp between the bread. Add extra Spicy Red Sandwich Spread® for more kick!